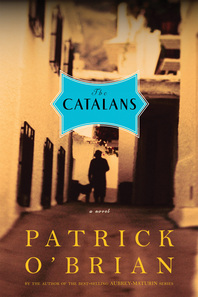 This novel is a powerful successor to Testimonies, Patrick O'Brian's first novel written for adults. It is set in that corner of France that became O'Brian's adopted home, where the long, dark wall of the Pyrenees runs headlong to meet the Mediterranean. Alain Roig returns to Saint-Féliu after years in the East and finds his family in crisis. His dour, middle-aged cousin Xavier, the mayor and most powerful citizen of the town, has fallen in love and plans to marry Madeleine, the young daughter of the local grocer. The Roig family property is threatened by this union, and Madeleine's relatives object on different grounds. Xavier is a tragic figure, damned by what he perceives as a lack of feeling; Madeleine is to be his salvation. Unfortunately she does not return his affection, and, as the feasts and harvest festivals of Saint-Féliu are played out, she finds herself falling in love with Alain.